Dress for any occasion in the versatile Kerri ankle boot from Born. Premium leather upper with western flair. Back zipper for easy entry. Leather and fabric lining. Fully cushioned footbed. Leawood-wrapped heel. Durable rubber outsole. Imported. Measurements: Heel Height: 1 1 2 in Weight: 1 lb 2 oz Product measurements were taken using size 9, width M (B). Please note that measurements may vary by size. Weight of footwear is based on a single item, not a pair. A T-shirt born to travel, the Give-N-Go Tee just needs a quick sink wash and it~s ready for another day of adventure. Form fit is snug, but not tight, for next-to-the-skin support. Stretch diamond-weave mesh fabric is highly breathable and dries quickly. Aegis Microbe Shield treatment eliminates odor-causing bacteria Classic crew neck. Rotated shoulder seams reduce friction and pinching when wearing a pack. Short-sleeve coverage. Straight hemline. 94 percent nylon, 6 percent Lycra spandex. Machine wash cold, tumble dry low. Imported. Measurements: Length: 29 in Product measurements were taken using size MD. Please note that measurements may vary by size. Underwear born to travel, the Give-N-Go Sport Mesh Boyshorts just needs a quick sink wash and they~re ready for another day of adventure. Active fit underwear features a low rise and boyshort cut. Sport Mesh fabric: &amp#8226 Lightweight, mesh fabrication offers highly breathable performance. 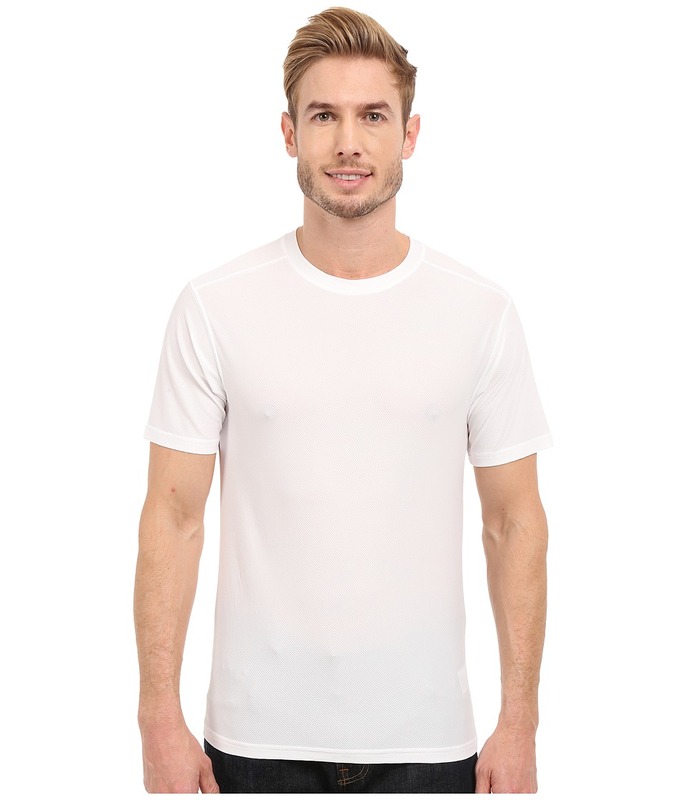 &amp#8226 Moisture-wicking, quick-dry performance moves perspiration away from the skin to dry quickly at the surface. &amp#8226 Antimicrobial Silvadur treatment is a silver-ion finish for odor-resistance. Elastic waistband. Flatlock-stitched side seams. Fabric 1: 93 percent nylon, 7 percent spandex Fabric 2: 81 percent polyester, 19 percent spandex. Machine wash and line dry. Imported. Measurements: Waist Measurement: 21 in Outseam: 7 in Inseam: 2 in Front Rise: 5 1 2 in Back Rise: 10 1 2 in Leg Opening: 15 in Product measurements were taken using size XS, inseam 2. Please note that measurements may vary by size. If you~re not fully satisfied with your purchase, you are welcome to return any unworn and unwashed items with tags intact and original packaging included. Like a fish to water, she was born to wear these sandals! Synthetic strap features a soft polyester liner for added comfort. Printed EVA footbed is contoured to better fit your kiddo~s foot. High-density EVA outsole for durability. 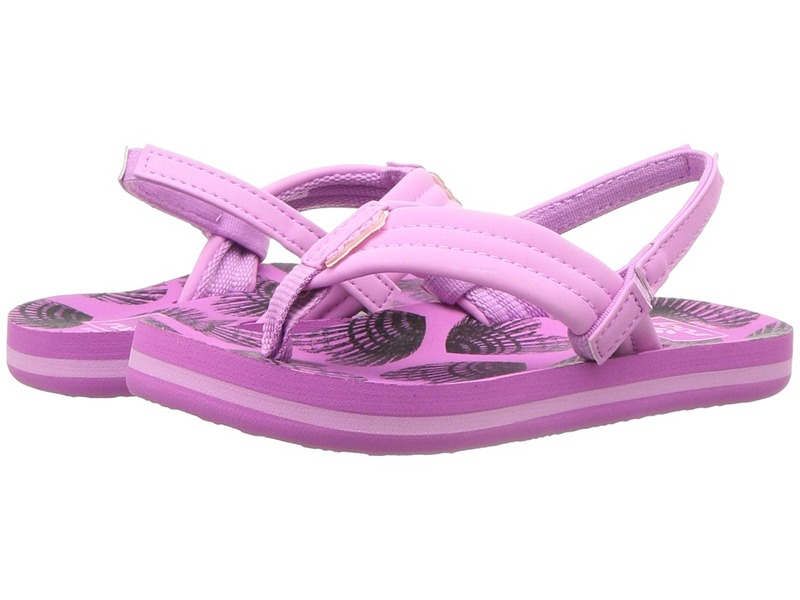 Sizes 3/4 Infant - 9/10 Toddler ONLY have an elastic backstrap which can be permanently removed. Imported. Measurements: Heel Height: 3 4 in Weight: 2.2 oz Product measurements were taken using size 3-4 Infant/Toddler, width M. Please note that measurements may vary by size. Weight of footwear is based on a single item, not a pair. 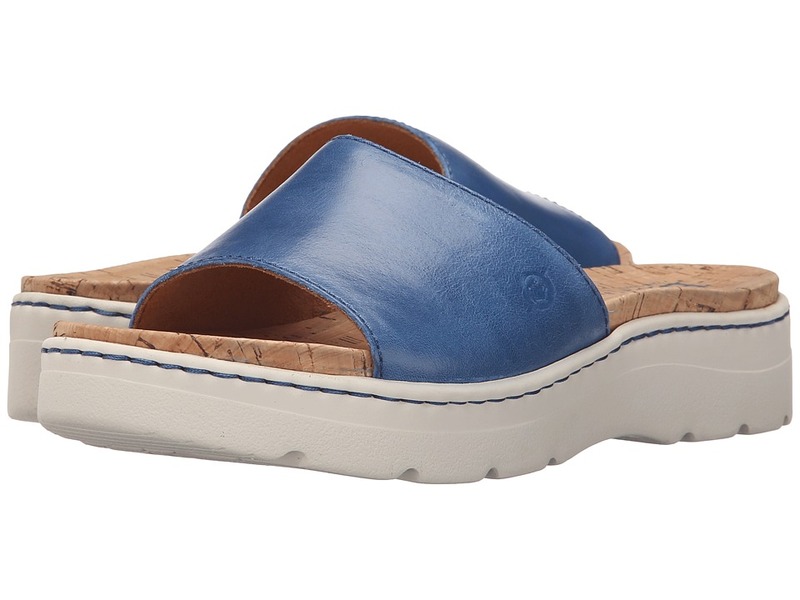 Go for a summer standout look with the flattering Hamada sandal by B&amp#248rn&amp#174. 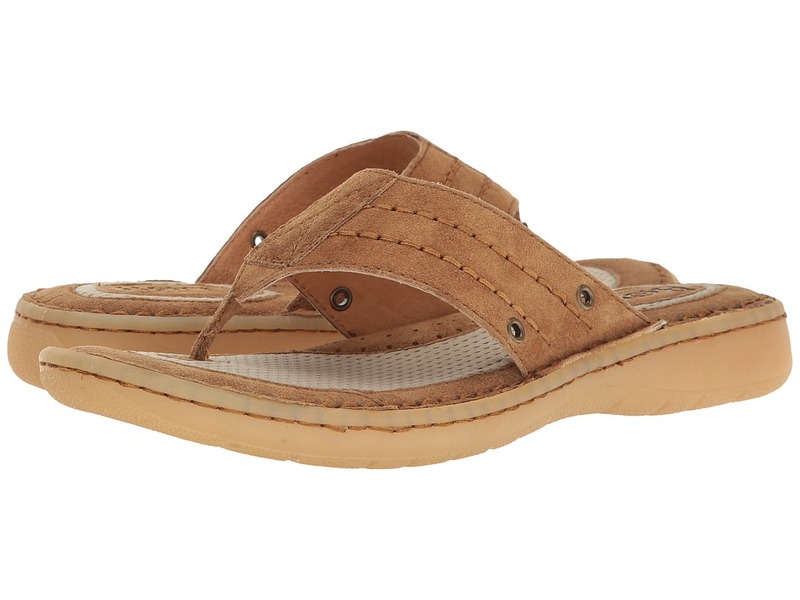 Full grain leather upper with crisscross straps. Buckle closure. Leather lining. Generously cushioned footbed. Tucker board shank. Cork-wrapped wedge. Polyurethane and rubber outsole. Opanka hand-crafted construction. Measurements: Heel Height: 3 1 4 in Weight: 7 oz Product measurements were taken using size 9, width M (B). Please note that measurements may vary by size. Weight of footwear is based on a single item, not a pair. Enjoy a warm-weather stroll in the sun with the eye-catching Eliora sandal by B&amp#248rn&amp#174. Full grain or metallic leather upper with fun cutout details. Easy slip-on style. Cork lining. Cushioned footbed. Rubflex shank for support and stability. Evon plus outsole. Opanka hand-crafted construction. Imported. Measurements: Weight: 7 oz Product measurements were taken using size 9, width M (B). Please note that measurements may vary by size. Weight of footwear is based on a single item, not a pair. 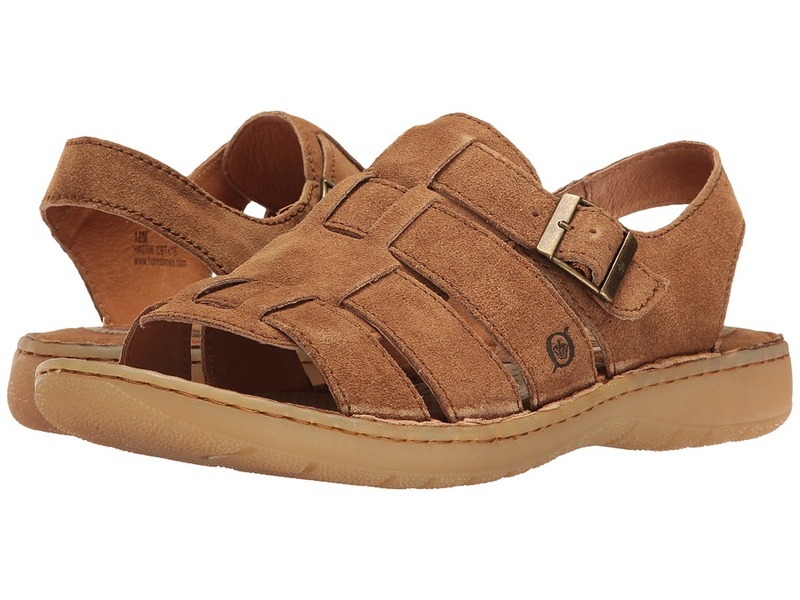 The Petula sandal combines comfort and style for a go-anywhere look. Full grain leather upper. Adjustable hook-and-loop closure ankle strap. Soft leather lining. Generously cushioned footbed. Polyurethane and rubber outsole. Opanka hand-crafted construction. Imported. Measurements: Heel Height: 1 1 2 in Weight: 10 oz Platform Height: 1 in Product measurements were taken using size 9, width M (B). Please note that measurements may vary by size. Weight of footwear is based on a single item, not a pair. 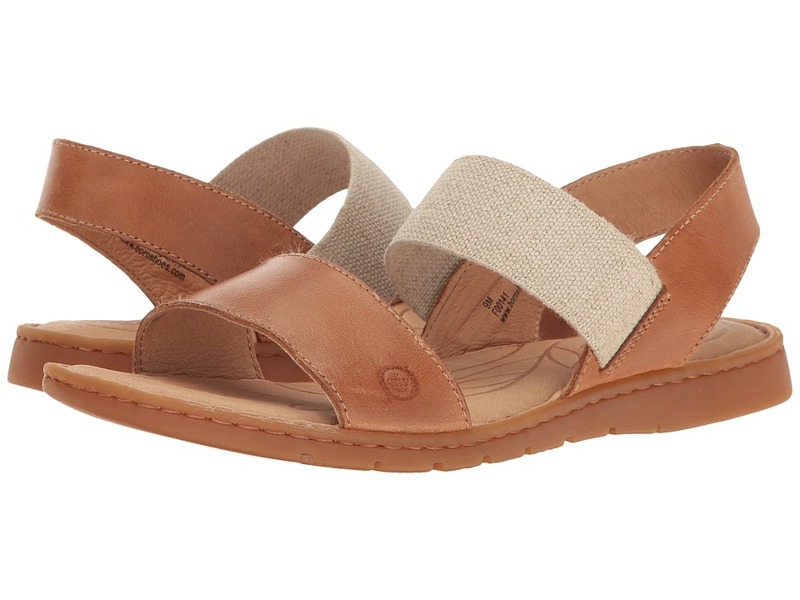 Keep it satisfyingly simple this summer with the Benitez sandal by B&amp#248rn&amp#174. Full grain leather or floral printed suede upper. Easy slip-on. Cork lining and covered footbed. EVA outsole. Opanka hand-crafted construction. Imported. Measurements: Heel Height: 1 3 4 in Weight: 8 oz Platform Height: 1 1 2 in Product measurements were taken using size 9, width M (B). Please note that measurements may vary by size. Weight of footwear is based on a single item, not a pair. 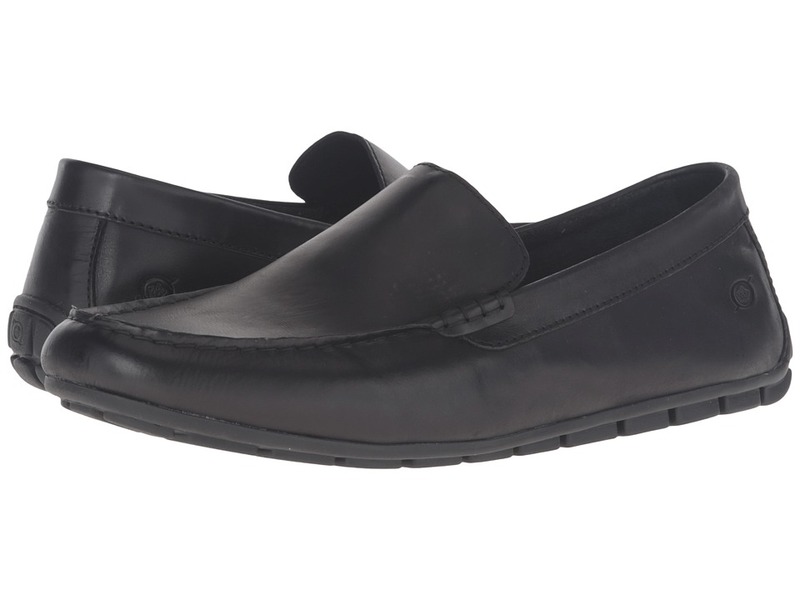 Handsome sophistication comes easy in the Allan slip-on loafer by B&amp#248rn&amp#174. Full grain or distressed full grain leather upper. Easy slip-on style. Leather lining. Generously cushioned footbed. Fabric and tucker board shank for support and stability. Rubber outsole. Opanka hand-crafted construction. Imported. Measurements: Weight: 12 oz Product measurements were taken using size 12, width M (D). Please note that measurements may vary by size. Weight of footwear is based on a single item, not a pair. 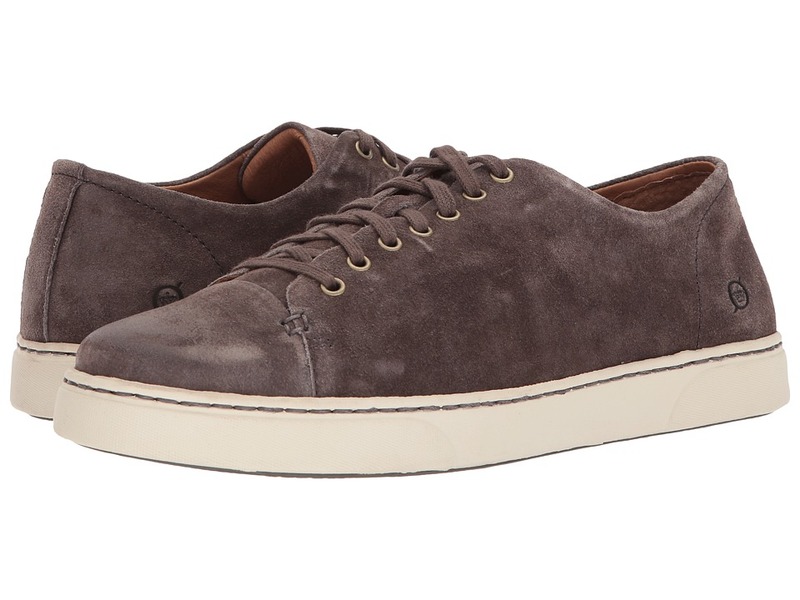 Give your day-to-day ensemble a style bump with the Bayne sneaker from Born. Rich leather upper. Seven eyelet lace-up closure with metal eyelets. Leather and textile linings. Cushioned footbed. Tucker board and fabric shank for stability. Opanka hand-crafted construction. Flexible rubber outsole. Imported. Measurements: Weight: 1 lb Product measurements were taken using size 11, width M (D). Please note that measurements may vary by size. Weight of footwear is based on a single item, not a pair. The Joel lace-up is the perfect addition to your on-trend, warm-weather wardrobe. Leather upper. Lace-up closure. Suede and leather lining. Lightly cushioned footbed. Opanka handsewn construction. Durable EVON outsole. Imported. Measurements: Weight: 1 lb 1 oz Product measurements were taken using size 11.5, width M (D). Please note that measurements may vary by size. Weight of footwear is based on a single item, not a pair. 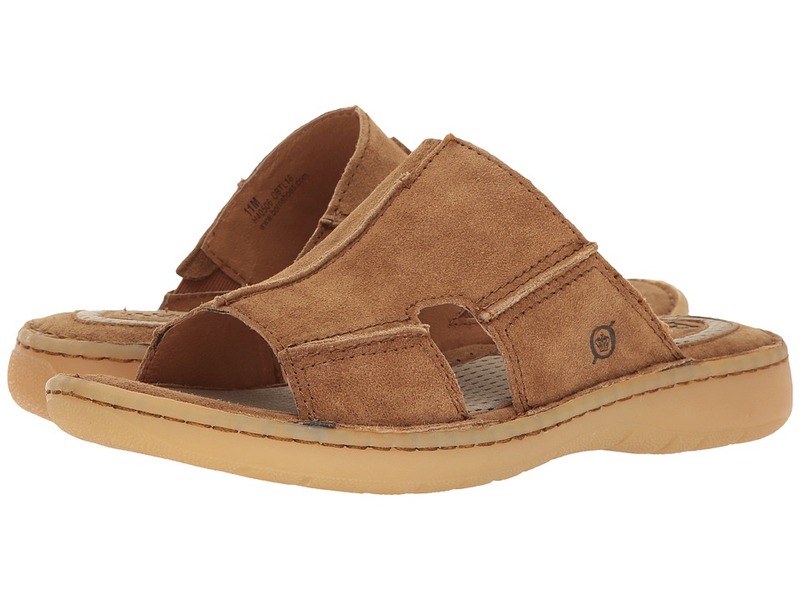 The lazy beach vibe style will look good on you with the Jared sandal by B&amp#248rn&amp#174. Full grain leather upper. Easy slip-on. Leather and fabric lining. Generously cushioned footbed. Nylon and tucker board shank. Rubber outsole. Opanka hand-crafted construction. Measurements: Weight: 15 oz Product measurements were taken using size 12, width M (D). Please note that measurements may vary by size. Weight of footwear is based on a single item, not a pair. 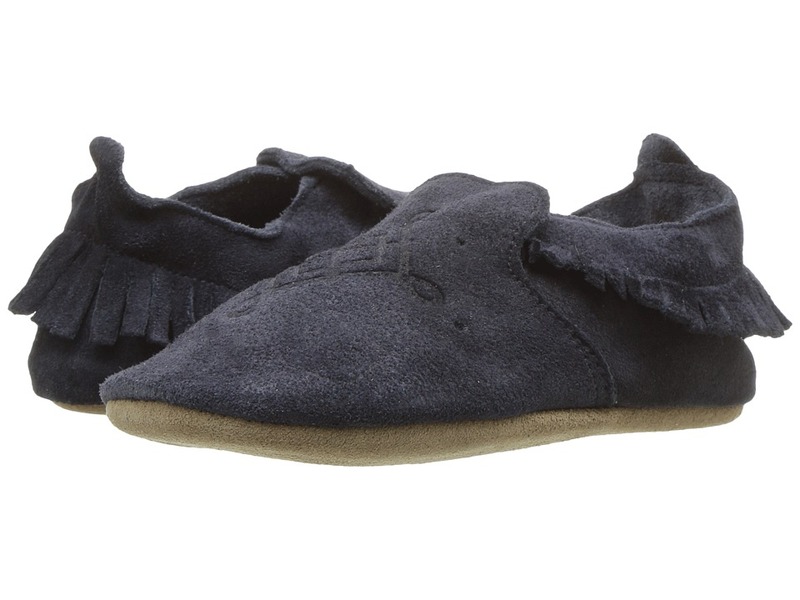 The Jonah is a cozy, dapper essential to your summer wear! Full grain leather upper. Easy slip-on. Leather and fabric lining. Padded footbed. Nylon and tucker board shank. Rubber outsole. Opanka hand-crafted construction. Imported. Measurements: Weight: 1 lb 3 oz Product measurements were taken using size 11, width M (D). Please note that measurements may vary by size. Weight of footwear is based on a single item, not a pair. Chase after the waves in breezy style with the Joshua sandal by B&amp#248rn&amp#174. 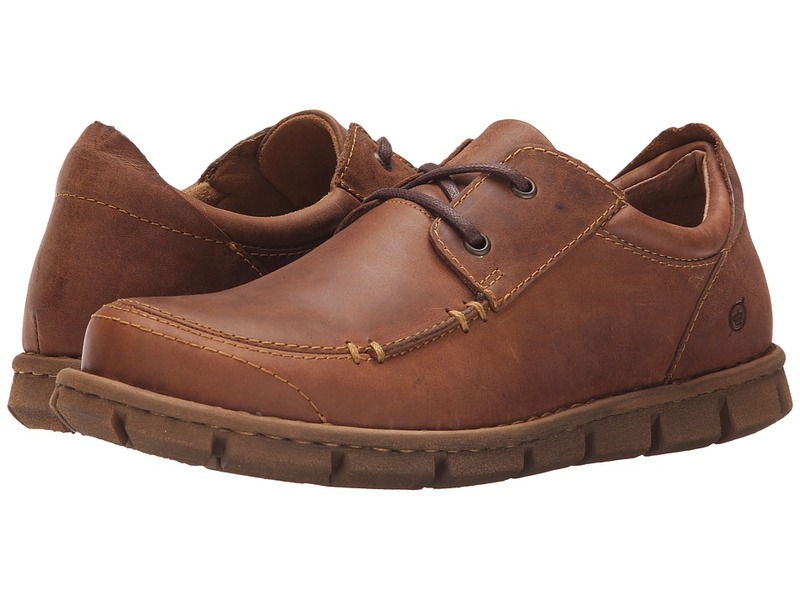 Full grain leather upper in a fisherman style silhouette. Buckle closure. Leather and fabric lining. Generously cushioned footbed. Nylon and tucker board shank. Rubber outsole. Opanka hand-crafted construction. Imported. Measurements: Heel Height: 1 1 4 in Weight: 14 oz Platform Height: 3 4 in Product measurements were taken using size 11, width M (D). Please note that measurements may vary by size. Weight of footwear is based on a single item, not a pair. 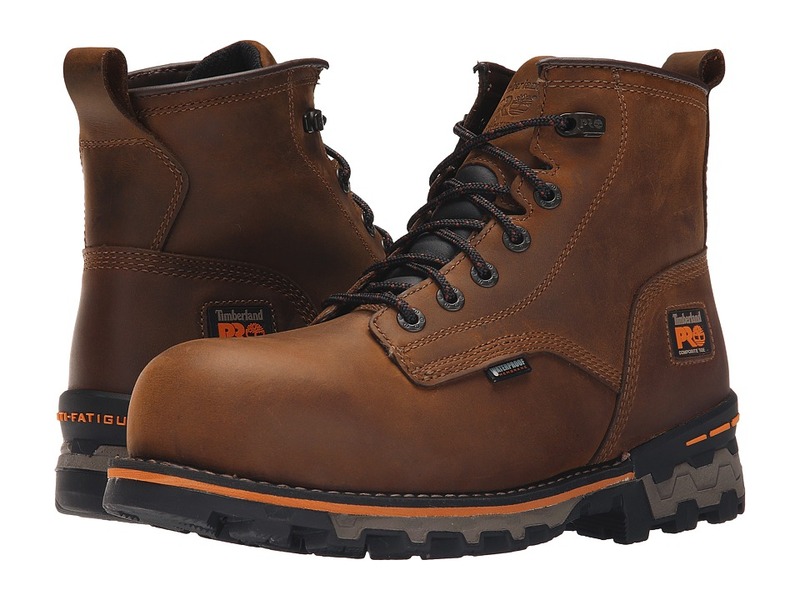 The Timberland PRO Boondock 6 Composite Safety Toe Waterproof Boot has the ideal combination of reliable durability, safety protection, and supportive comfort to keep you performing at your best every work day. Style number: A127G214. 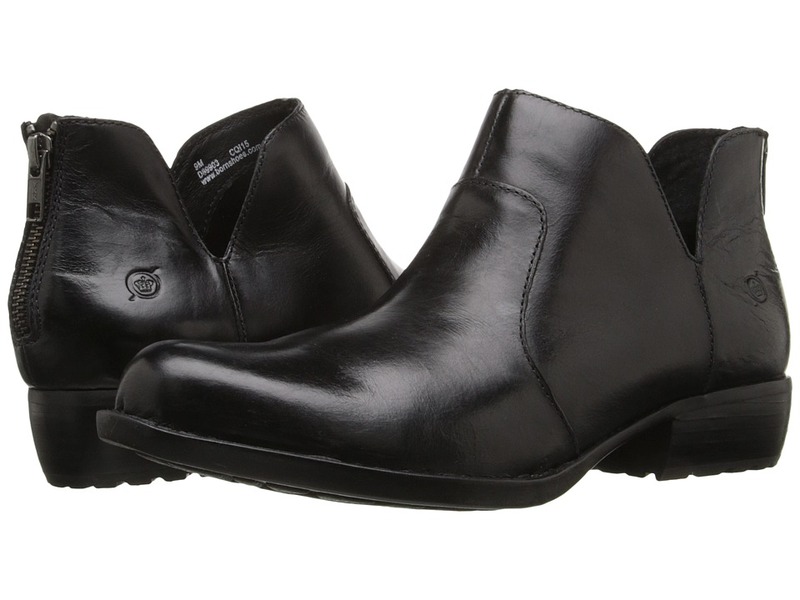 Waterproof leather upper is specially treated, causing liquids to bead up and shed from the surface. Water-impermeable membrane keeps feet drier and delivers superior waterproof protection. Membrane also provides blood-borne pathogen protection. PowerFit&amp#8482 comfort system uses ergonomic elements at key zones to promote enhanced movement and support. Dual-purpose top hardware for easy lacing adjustability. Padded top collar and tongue for added comfort. Rigid external heel cup for lateral stability. Combination three-quarter Goodyear welt and cement heel construction for excellent durability and flexibility. Dual-density dynamic Anti-Fatigue technology absorbs shock and returns energy at key zones of the foot. Cushioned insole with antimicrobial treatment to prevent and control odors. Fiberglass shank for structural support. Dual-density polyurethane (PU) midsole for added underfoot support and shock absorption. Nonmagnetic and nonmetallic composite safety toe resists corrosion and meets ASTM F2412-11/F2413-11, I/75 and C/75 impact and compression safety standards. ASTM F2412-11/F2413-11 and F2892-11 rated for Electrical Hazard (EH) protection against open circuits. Composite safety toe was constructed on a TiTAN last for nonmetallic protection and a superior fit. All-weather TPU outsole features a low-temperature formulation to maximize traction on cold surfaces (tested using SATRA TM144:2007 frosted rough ice surface) to extend flexibility in cold environments. Outsole features deep lugs for traction in mud and snow, is slip-resistant and features oil resistance. Oil resistance tested for volume swell using EN345 TMP ASTM fuel A 7 Diesel ISO 1817 liquid for 22 hours and ASTM IRM903 fuel B for 46 hours. Imported. Measurements: Weight: 3 lbs 2 oz Shaft: 6 in Product measurements were taken using size 12, width D - Medium. Please note that measurements may vary by size. Weight of footwear is based on a single item, not a pair. Go all in on handsome style and optimal comfort with the Cabot II by B&amp#248rn&amp#174. 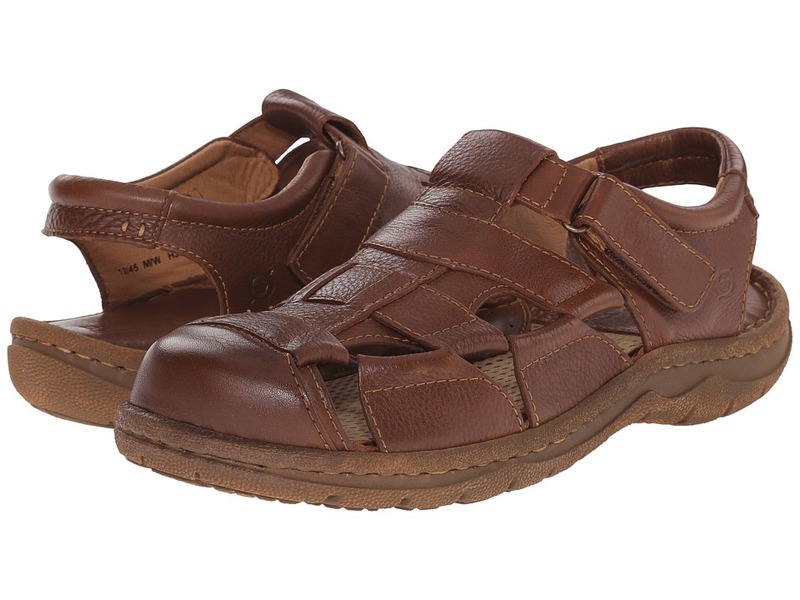 Full grain leather upper in a fisherman sandal silhouette. Hook-and-loop strap for adjustability. Leather and fabric lining. Lightly cushioned footbed. EVON outsole. Opanka hand-crafted construction. Imported. Measurements: Weight: 1 lb 5 oz Product measurements were taken using size 12, width M (D). Please note that measurements may vary by size. Weight of footwear is based on a single item, not a pair. Easy come, easy go... Full grain leather upper. Easy slip-on with an elastic strap. Leather lining. Generously cushioned footbed. Steel shank. Rubber outsole. Opanka hand-crafted construction. Measurements: Heel Height: 3 4 in Weight: 9 oz Product measurements were taken using size 9, width M (B). Please note that measurements may vary by size. Weight of footwear is based on a single item, not a pair. Perfect for a newborn baby! Flexible-leather upper. Easy to slip on. Secure fit with the elastic collar. Non-toxic dyes and materials. Encourages correct and anatomical-foot development. Leather lining and insole. Non-slip suede midsole and outsole. Imported. Measurements: Weight: 2 oz Product measurements were taken using size XL (21-27 Months), width M. Please note that measurements may vary by size. Weight of footwear is based on a single item, not a pair.